Where there are people there are stories. We enjoy sharing how we make the most of life together. Whether that is simply sharing the latest story about a care home party, or news of our latest achievements such as the recognition we receive through awards. There are plenty of ways to follow what has been happening in our Brunelcare community. Here are just a few of the recent highlights! I worked almost 40 years in the NHS and this is the happiest I have been. I approach every day at Deerhurst thinking ‘What is it going to take to make someone feel loved today? As a family we still feel so grateful for the outstanding care Mum received that week at Saffron Gardens. To be with her right to the end like that is what we had always wanted for Mum. 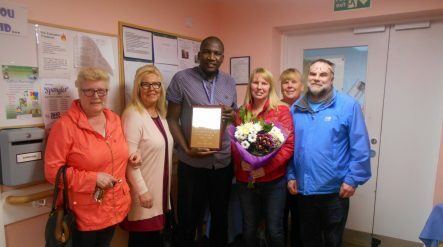 As a permanent mark of our thanks we felt moved to donate a thank you plaque for the care team to display in the nursing court where Mum stayed. Follow us on Twitter and read some of our latest newsletters to get a flavour of what life at Brunelcare is really like.